At a time of grave sorrow for the loss of life in London due to Islamist terrorism and with MetPol cuts still very much unfolding, increasing further the risks to our safety, I am writing to you once more to highlight the plight of Julian Assange, the Editor of WikiLeaks who for the last 5 years has been trapped in the Ecuadorian Embassy in London at great expense to the London Taxpayer and great risk to his life and health. Perceived Foreign policy objectives keep the UK government from granting safe passage to Julian Assange to travel wherever he wishes to and enjoy the political asylum granted to him by the government of Ecuador which is his right. United Nations legal opinion published in February 2016 and confirmed in November 2016 is that he has been arbitrarily detained by the governments of Sweden and UK. Last month, in May, Sweden has stopped legally detaining him, rescinding the Swedish and as a result the European Arrest Warrant that legally detained him. Not only Sweden no longer seeks his arrest, in fact, the Swedish Prosecutor after questioning Julian Assange inside the Ecuadorian Embassy in November 2016, has now closed the preliminary investigation against him. Despite all of the above the MetPol has publicly stated that it seeks to arrest him for breaking his bail conditions and have an arrest warrant against him. Seeking political asylum is a right not a crime. Julian Assange sought the protection of Ecuador because he has been persecuted for his journalistic and publishing work. There is plenty of evidence that a Grand Jury investigation is amassing evidence against Julian Assange, WikiLeaks, and its staff for more than 7 years for their publishing work. Recently, in April this year, CIA Director Pompeo has unequivocally stated CIA’s determination to end the operation of WikiLeaks by any means, US Attorney Sessions soon after made public statements that he is preparing charges against Julian Assange for his journalistic work, clearly he is being persecuted over many years. It is the political asylum granted to him by Ecuador that protects him from this persecution. In the meanwhile, the London Taxpayer has spent millions of pounds in the surveying of the Embassy to facilitate arrest. Up until October 2015 the publicly available information for the cost of this surveillance by MetPol alone amounted to more than £12 million pounds. Since then any information about the cost of surveillance has been classified as the operation is covert and we have no idea what money is being spent on it. It is money ill spent! At a time of austerity, with police funding cuts increasing the risk of safety for Londoners, it is intolerable that the UK government which is obviously responsible for MetPol policy is throwing good money down the drain keeping Julian Assange trapped in the Embassy to serve whatever ill perceived foreign policy objectives instead of protecting the safety and security of the public at large. I partake in a weekly vigil outside the Ecuadorian Embassy in solidarity with Julian Assange the last five years, my colleagues and I have witnessed the police operation throughout this period. We all are London Tax payers and would rather see the police do their duty by us in their professional capacity rather than playing the spy in Embassy surveillance wasting our money at the same time as serving the ill perceived political interests of the Home Office. Are undercover police in operation outside the Embassy? Evidence indicates that they are. Over a period of weeks in April this year a Black Ford Mondeo with two male occupants inside, registration number AU64 BB0 remained with the engine running at all times outside number 16 HansCrescent which happens to be opposite the Ecuadorian Embassy in London, No 3 Hans Crescent and in particular opposite the entrance of Landon Place which wraps the entire side of the building, where the embassy is. The same vehicle was situated at exactly the same spot and was observed morning, afternoon and evening. Its occupants were at times of mixed gender. Parking control staff were seen dispensing parking penalty notices to public utility vans and other vehicles whilst not doing so for this vehicle. At times, taking turns one of them might leave the vehicle and walk across Hans Crescent and turn into the direction of Basil Street, where another vehicle in full MetPol markings, registration number BX66 HH0 parked throughout the time observed. See my report here: https://greekemmy.com/2017/04/24/are-undercover-metpol-officers-currently-o utside-the-ecuadorian-embassy-in-london-surveilling-wikileaks-julian-assang e/ Such observations make me wonder and so I ask, has the covert surveillance been subcontracted to a private police company and at what cost? 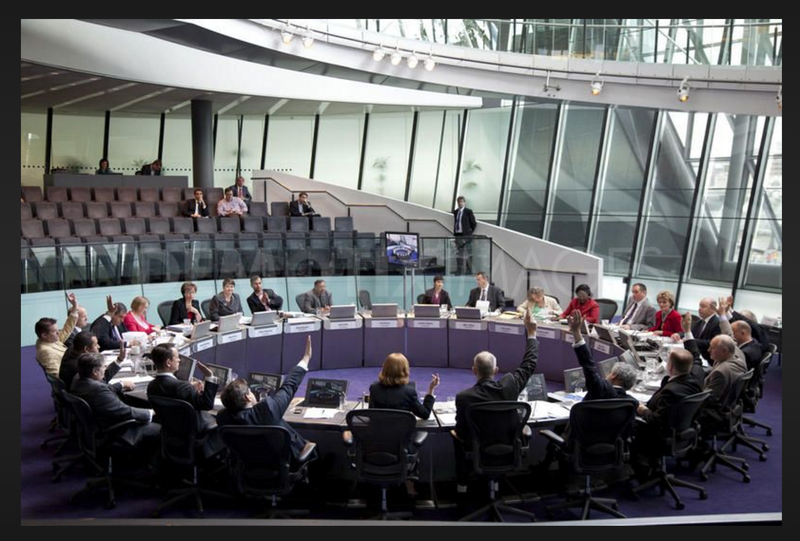 In late 2016 the London Mayor answering a question by London Assembly member David Kurten refused to forward the costs of policing to Sweden on the bases that there was a valid European Arrest Warrant outstanding against Julian Assange. This is no longer the case. What will be his answer this time? how many policemen and women can be employed with £12 million, to keep the streets of London safe? Julian Assange is an innocent man, he has political asylum, he is arbitrarily detained by the UK, and London Tax Payers money is wasted to keep him trapped. Please help stop this injustice. Mrs Emilia Butlin JADC – Julian Assange Defence Committee, Grassroots solidarity for the WikiLeaks Editor.